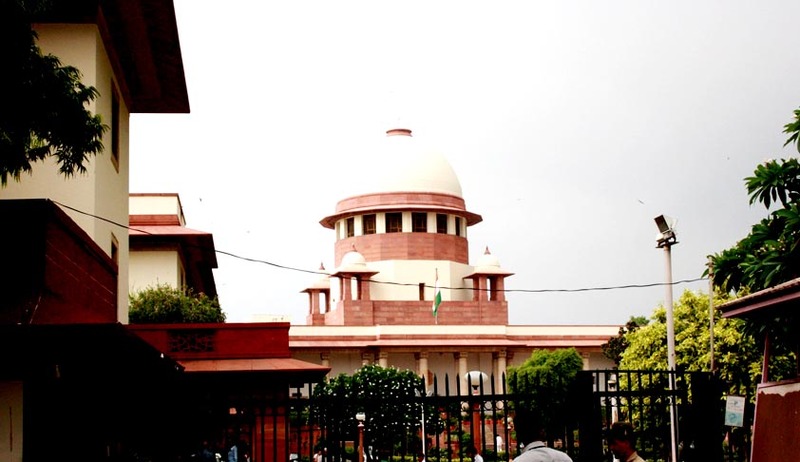 A petition by two Associations representing the Deaf and Dumb persons seeking a writ of Mandamus directing the Central and State Governments to grant transport allowance to its government employees suffering from hearing impairment in equal with what is being given to blinds and orthopedically handicapped government employees, was heard by a Supreme Court bench of Justices K.S. Radhakrishnan and A.K. Sikri. The Bench allowed the writ petition and directed the Centre and State governments and other establishments to pay deaf and dumb employees transport allowance on a par with what is given to the visually impaired and the orthopedically handicapped. Several representations were submitted by the Deaf and Dumb Association after coming into force the Persons with Disabilities (Equal Opportunities, Protection of Rights and Full Participation) Act, 1995 for extending the benefits of transport allowance to them also. Their representation was considered by the Ministry of Health and Family Welfare, Department of Health. The Ministry of Road Transport and Highways also sent a proposal to the Ministry of Finance to grant transport allowance at increased rates for hearing handicapped persons at par with the blind persons. The request was considered by the Ministry of Finance, Department of Expenditure and it directed the Ministry of Finance to clarify the contradictory stand earlier taken and requested them to forward their final view. The Ministry of Finance, however, advised the Ministry of Health and Family Welfare to refer the issue to the 6th Central Pay Commission for getting their recommendation. The Ministry of Health and Family Welfare, however, did not take up the matter with the 6th Central Pay Commission. The Bench said the Finance Ministry took the view that a visually impaired person cannot be compared with hearing impaired persons since persons who are deaf and dumb are not physically dependent on others for commuting. Hence they are not entitled to double rate of transport allowance. This view, in spite of the recommendations made by the Ministry of Health and Family Welfare, for not providing transport allowance to its government employees suffering from hearing impairment, cannot be sustained. According to the apex court, travel undertaken by the deaf and hearing impaired employees is equally straining and burdensome as compared to persons having other disabilities referred to in Section 2 (i) of the Disabilities Act. Hearing impaired persons cannot communicate with bus conductors, auto and taxi drivers, in fact may sometimes end up spending more money in travelling than normal persons. The Supreme Court bench noticed that in spite of the recommendation made by the Ministry of Health and Family Welfare, the Ministry of Finance struck to their earlier stand and pointed out that since the Government has already constituted 7th Central Pay Commission, it would be appropriate that the said Pay Commission would examine the claim made by the Deaf and Dumb persons. It further stated that the Disabilities Act does not create any barrier or discrimination among persons with disabilities. Sections 2(i) and (l) of the Disabilities Act defines the expressions ‘disability’ and ‘hearing impairment’ respectively. The apex court bench said that the deaf and dumb persons have an inherent dignity and it is the duty of the state to respect and protect this right of people. Human dignity of a deaf and dumb person is harmed when he is being marginalized, ignored or devalued on the ground that the disability that he suffers is less than a visually impaired person which, according to the court, clearly violates Article 21 of the Constitution of India. Comparison of disabilities among “persons of disabilities”, without any rational basis, is clearly violative of Articles 14 of the Constitution of India. Thus, the court was of the view, that the recommendation made by the Ministry of Health and Family Welfare for extending the benefit of transport allowance to the Government employees suffering from hearing impairment in equal with blinds and orthopedically handicapped Government employees is perfectly legal and is in consonance with Articles 14 and 21of the Constitution of India.